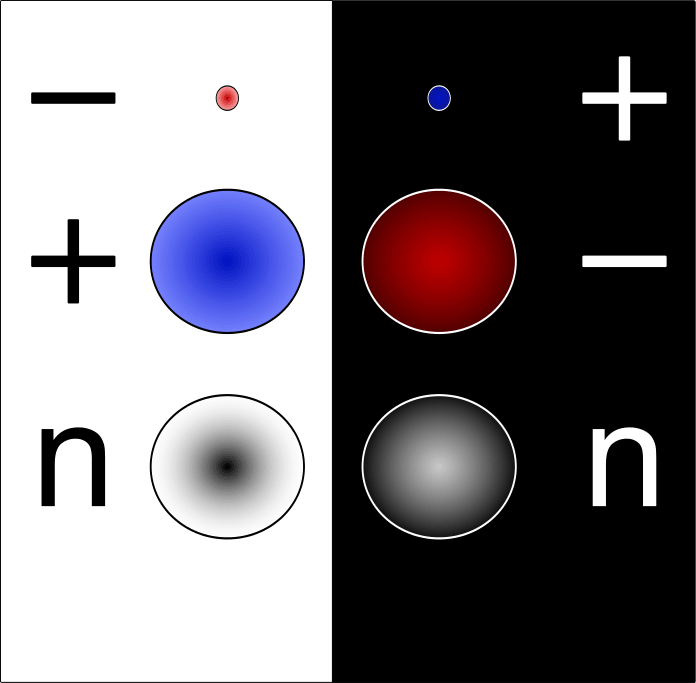 Is The Anti Matter Principle Useful? I must say that when I first read Bob Marshall’s Anti Matter Principle I was somewhat underwhelmed. It was announced with a fanfare of rhetoric. Somewhat mismatched rhetoric, I thought. I don’t like the name. It points to the underlying rules of the universe, to the science of the fundamental particles from which our world is constructed. I imagine men in white coats analysing the data from their particle accelerator for decades, distilling the results into a principle for everything. The white coats have gone and now the men sit around the campfire strumming guitars, gazing into the flames and singing along. So I put this principle to the test. I decided to despatch it quickly with a thought experiment. Imagine the following scenario: an organ has become available and there are two patients that could benefit from it. Which patient do you choose? We have here two folks with conflicting needs. We cannot attend to both. We can attend to only one. That’s reality and it isn’t nice. When we look at the fundamentals of life and death the principle offers no insight or assistance. And then I listened to an episode of This American Life on death and taxes. It made me think differently. I suddenly realised that staying alive isn’t the only need that folks have. I had never seen the kind of expertise these nurses had. They knew death. They seemed to understand it, whereas I, even though I had just watched someone fade away and die right in front of me, all I could think was, what just happened? In the resource driven perspective of the transplant question everything is simplified to binary states. There is a winner who lives and a loser who dies. These folks have just one need and only one one of them will have it attended to. Yet listen to the podcast and you’ll hear about how the highly skilled nurses attend to folks needs. Not just the patients, but their families as well. One of the nurses, Jenny, got me cleaning out the fridge one morning. We did it together for an hour and a half, just talking, passing the time. It wasn’t until later that I realized, oh, she did that for me, to give me something to do. Can a Lean pathway contain this particular activity? What metric would you use to measure its effectiveness? A Lean analysis would probably identify this as waste, distracting workers from their core task. I just hope that somebody somewhere is attending to the nurses needs. They’re folk too. It can’t be easy. And so I must admit that I was wrong. The antimatter principle does help in the transplant scenario. It invites us to consider the needs of everybody involved. How is the patient who doesn’t get the organ supported? And their family? What do the people helping them need so that they are in a position to show humanity rather than efficiency? I used to think that evidence based medicine gave a clear and simple answer to the transplant problem. Create an explicit set of rules and apply them based on logic and reason. Measure the outcome in terms of the quality and quantity of extended life. Now I’m not so sure. Consider this thought experiment: there are two rulesets: A and B. Set A is clear and straightforward. The outcome is easy to understand and seems fair to most people. It was the product of an extensive consultation with patients, families and professionals. Set B is complex and counter intuitive. People struggle to understand the reasons for the outcome and they often seem unfair. It is the product of a mathematical regression from a large data set and a robust method. Imagine that the facts show that ruleset B is twice as effective as A. Which ruleset should be used? It’s a fact that for the surviving patient A is preferable but what about everybody else. What about the grieving family struggling to understand why? What about the medical staff who must deliver the decision without being able to provide an explanation? If you had asked me before I would say that the evidence is clear and should be followed. Now I’m not so sure. To be honest I don’t know any more. What is clear to me is that “evidence based” is not the answer; “people based” is. Evidence should not tell people what to do. Evidence helps people to build consensus and gain deeper understanding. At least it does if people are humble enough to accept that they might be wrong. It seems to me that this is the true power of the antimatter principle – it generates humility. How Could I Be So Thoughtless? With that humility comes the realisation that I have reached so carelessly for such an emotive scenario just to prove my point. Applying the principle encourages me to reconsider even my own thinking and behaviour. I realise that I must add an apology to this post. If the subject of my thought experiments offended or upset anybody I am sorry. I considered rewriting them to something less emotive but I decided to err on the side of honesty. In future I will try to be more considerate. Because people matter and their needs cannot be ignored.